We took the all-in-one bag idea to a whole new level with this one. Gym bag. Travel bag. Meal management bag. All-in-one with details and quality galore. There isn’t a bag on the market that can do what this does. Nor look as sweet. Touch and feel this bad boy and you’ll know why. 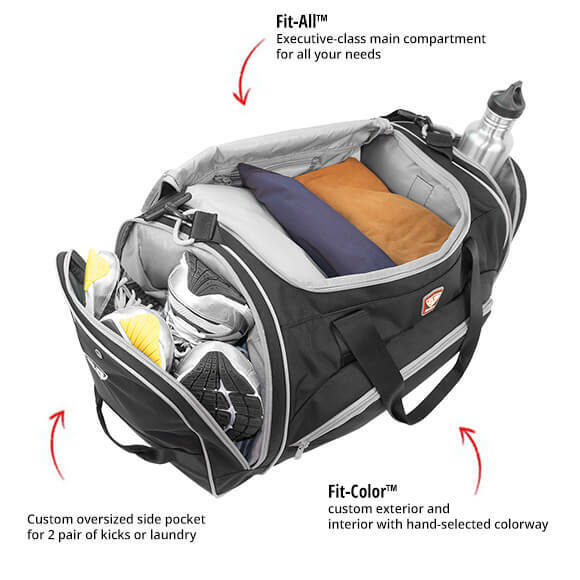 Enough room in the main compartment for your clothes, shoes, books, sports bottles and more (even a separate, padded laptop pocket to secure your 15″ inch laptop). 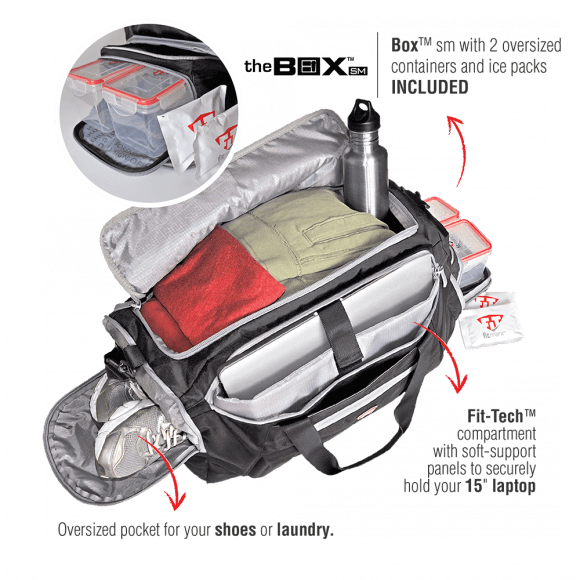 Plus, our patent pending, removable meal management system that includes 2 large seal tight containers and 2 ice packs (TSA approved). Grab one of these bags, you’ll love it. 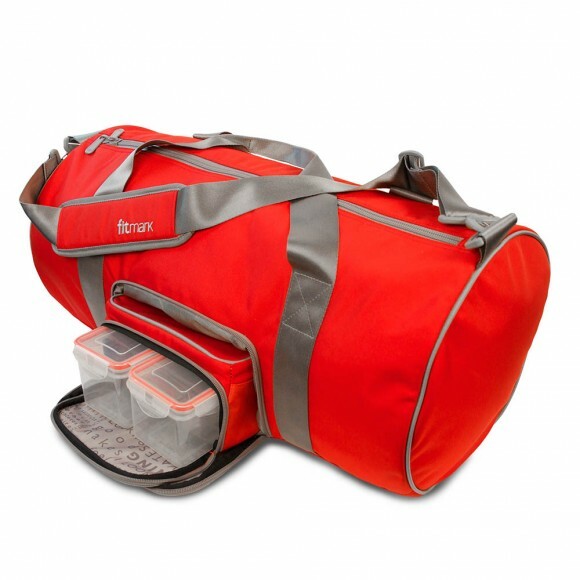 Clean Envoy duffel bag with damp cloth as necessary. Hand wash only. Do not use detergent or bleach. Remove wet items immediately. Line dry.